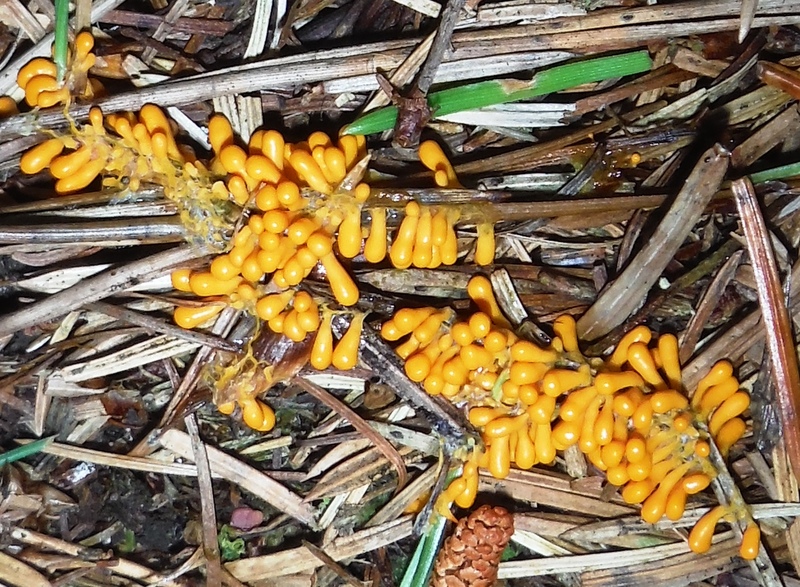 Here are some records of fungi, lichens and mycetozoa ("slime molds") in the woods. Thanks to Lee Johnson (LJ) for most of these records. 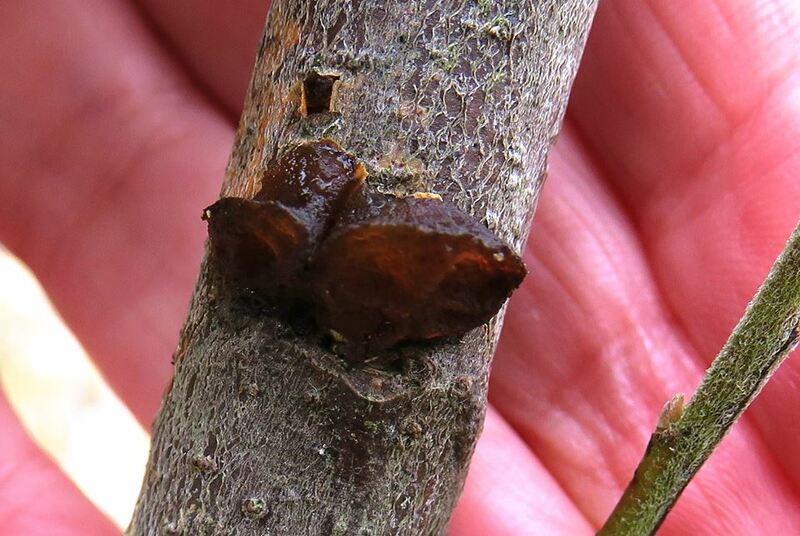 Cryptomyces maximus - Willow Blister. A globally scarce paleo- and neo-arctic species, with several records for Orkney. 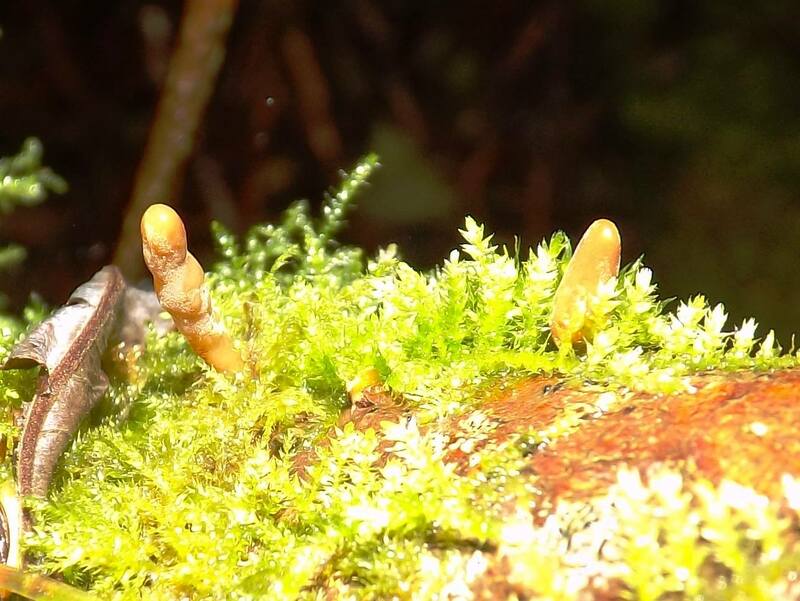 *Macrotyphula fistulosa var contorta - Contorted Pipe Club fungus. A new record for Orkney. 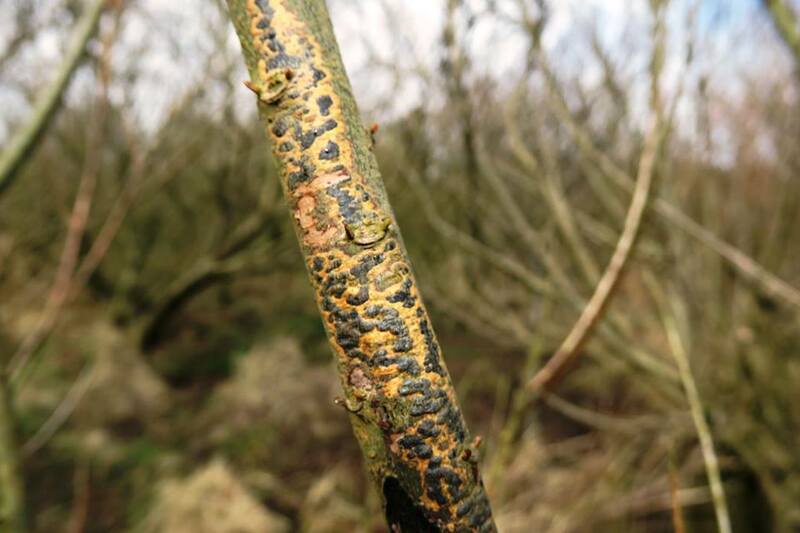 Formerly rare in UK but becoming common now (from 1990s onwards) [H. Ellis, Cecidology, Vol 16 No. 1]. in Olav's Wood (LJ, April 2018). 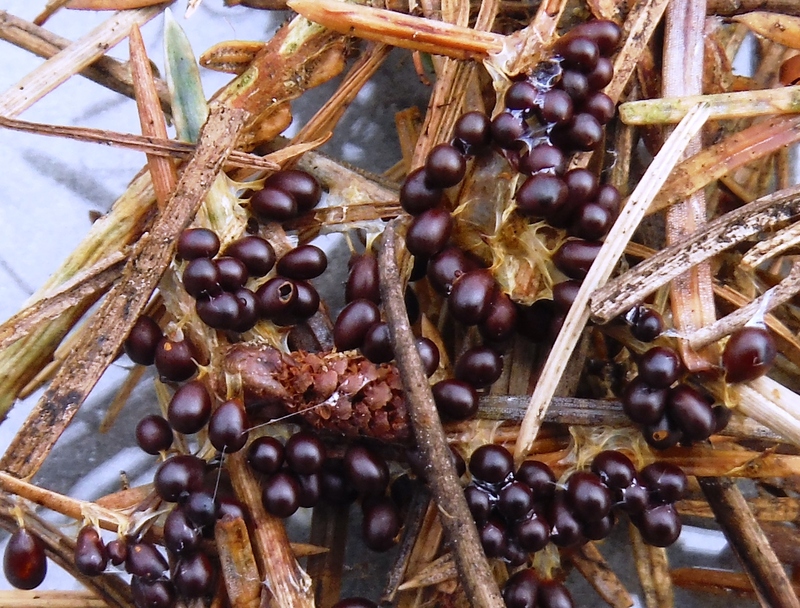 rotting nettle stems (LJ, 27th Sept 2017). 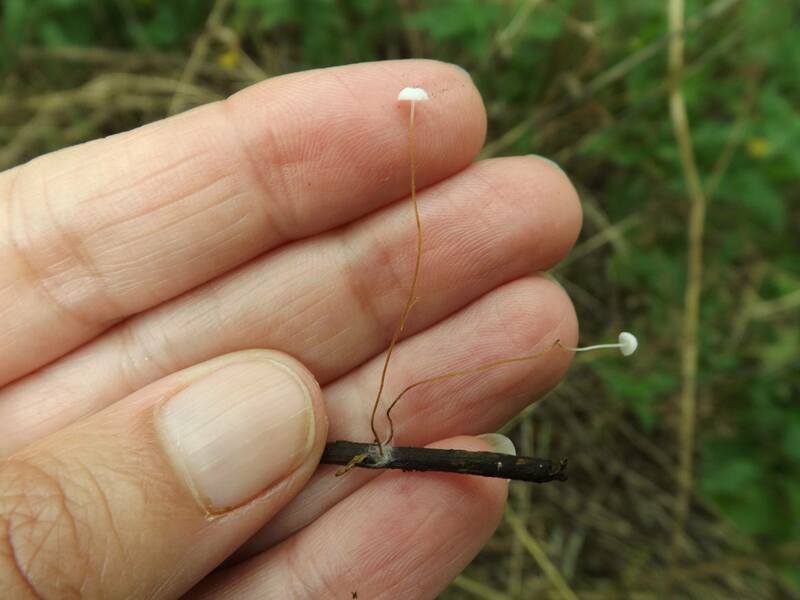 Marasmius sp. (LJ, 27th Sept 2017). 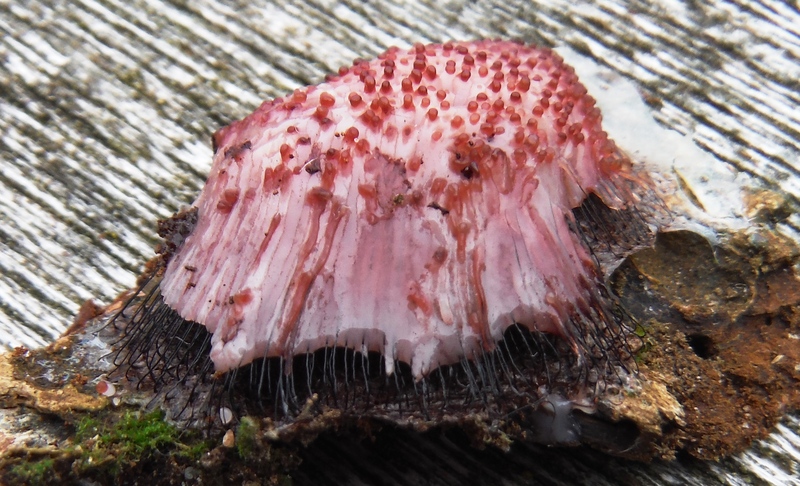 Mycetozoa, also called "slime molds", are strange creatures. 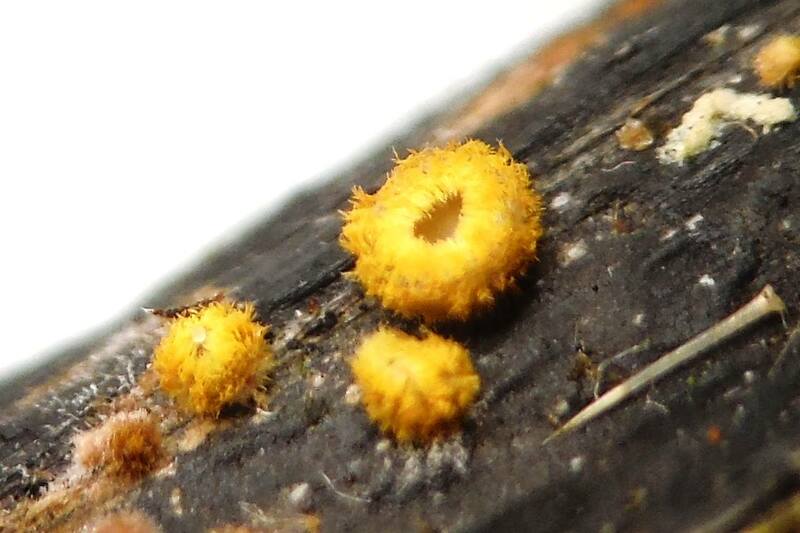 They have a variety of life-cycles and structures, but all reproduce by spores. In some species, at certain stages of their life-cycle, individual cells congregate to form bodies which can detect food sources and move towards them. 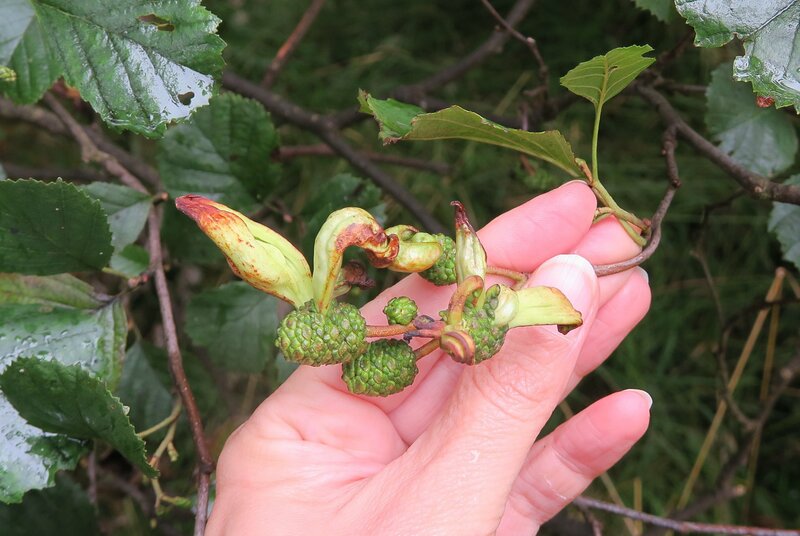 Lee Johnson has found several species in Olav's Wood. Photographs below from Lee (click for larger images).